The Constitution Bench of Supreme of India Today has finally corrected the wrong interpretation given to Section 31(2) of Code of Criminal Procedure Code, by holding that the cap of 14 years Rule on aggregate punishment is not applicable to Sessions Court. Court further held that Section 31 of the Cr.P.C. would not permit consecutive running of life sentence and the term sentence since the aggregate punishment of the petitioner would go beyond the outer limit of 14 years stipulated in the proviso to Section 31(2) of the Cr.P.C. Today the Constitution Bench held that “While we have no doubt about the correctness of the proposition that two life sentences cannot be directed to run consecutively, we do not think that the reason for saying so lies in the proviso to Section 31 (2)”. The Court has added that Section 31(2) of the Cr.P.C. deals with situations where the Court awarding consecutive sentences is not competent to award the aggregate of the punishment for the several offences for which the prisoner is being sentenced upon conviction. The Bench has clarified that Section 31(2) of the Cr.P.C. deals with situations where the Court awarding consecutive sentences is not competent to award the aggregate of the punishment for the several offences for which the prisoner is being sentenced upon conviction. A careful reading of sub-Section (2) would show that the same is concerned only with situations where the Courts awarding the sentence and directing the same to run consecutively is not competent to award the aggregate of the punishment upon conviction for a single offence. The proviso further stipulates that in cases falling under sub-section (2), the sentence shall in no case go beyond 14 years and the aggregate punishment shall not exceed twice the amount of punishment which the Court is competent to award. Now in cases tried by the Sessions Court, there is no limitation as to the Court’s power to award any punishment sanctioned by law including the capital punishment. Sub-section (2) will, therefore, have no application to a case tried by the Sessions Court nor would Sub-section (2) step in to forbid a direction for consecutive running of sentences awardable by the Court of Session. The Bench has concluded that, to the extent Duryodhan Rout case relies upon proviso to Sub-section (2) to support the conclusion that a direction for consecutive running of sentences is impermissible, it does not state the law correctly, even when the conclusion that life imprisonment means for the full span of one’s life and consecutive life sentences cannot be awarded is otherwise sound and acceptable. “Judgment is in direct conflict with Section 31 of Cr.P.C and precedents. The Court proceeded on the assumption that the embargo that in a sentence for conviction for several offences, accused cannot be sentenced to imprisonment for a period longer than 14 years is applicable to all the cases. In fact it is a proviso attached to S.31 (2) only and not to S.31. Section 31 (2) deals with a situation where the aggregate punishment for the several offences being in excess of the punishment, which a Court is competent to inflict on conviction of a single offence. So this 14 years rule is not applicable to a Sessions Judge or Additional Sessions Judge since he may pass any sentence authorized by law [S.28]”. “Let us now analyse sub-section (2) of Section 31 Cr.P.C. A careful reading of the Section will show that the said sub-section applies only in a case where consecutive sentence is passed and that too by a Court of limited sentencing jurisdiction. The provision says that if the aggregate punishment for the several offences directed to be suffered consecutively, is in excess of the punishment which the Court is competent to inflict on conviction of a single offence, then it shall not be necessary for the Court to have recourse to Section 325 Cr.P.C. (Since Section 325 Cr.P.C. occurs in Chapter XXIV Cr.P.C. dealing with General Provisions as to Inquiries and Trials, it has been held that this power can be exercised by Assistant Sessions Judges also. See Ahamed Koya Vs. State 1991(1) KLT 332). A perusal of Sections 28 and 29 Cr.P.C. will reveal that unlike a Chief Judicial Magistrate and Judicial Magistrate of the First or Second Class, the High Court, Sessions Judge and Additional Sessions Judge have unlimited sentencing power and they can pass any sentence authorised by law. Thus, sub-section (2) of Section 31 Cr.P.C. has no application to the High Court, Sessions Judge and Additional Sessions Judge. If so, the proviso thereto consisting of clauses (a) and (b) thereof also cannot obviously apply to the High Court, Sessions Judge or Additional Sessions Judge. In other words, the 14 year limit prescribed under clause (a) of the proviso to Section 31(2) Cr.P.C. applies only to a case of consecutive sentence imposed by courts of limited sentencing jurisdiction like the Magistrate Courts and Assistant Sessions Court but not to the High Court or a Court of Sessions Judge or an Additional Sessions Judge which are courts having unlimited sentencing power. However, the Supreme Court of India has applied the said proviso to trials held by Sessions Judges and Additional Sessions Judges. In Chatar Singh Vs. State of M.P, the trial was by a Sessions Judge and there were 2 convictions for the offence under Section 364 IPC besides other offences. The total period of consecutive sentence ordered by the trial court was 40 years. On appeal, the High Court limited the consecutive sentence only to the two convictions under Section 364 IPC thus reducing the total period of sentence to 20 years. The Supreme Court, relying on proviso (a) to section 31(2) Cr.P.C. criticised the trial Judge and the High Court for passing a sentence exceeding 14 years and directed that the 12 years incarceration already undergone by the convict would be sufficient . For taking the above view the Supreme Court relied on a Division Bench ruling of the Allahabad High Court in Zulfiqar Ali and Another Vs. State of U.P. – 1988(3) Crimes 199 wherein also the trial was conducted by an Additional Sessions Judge and the High Court also had committed the same illegality of relying on the proviso to Section 31(2) Cr.P.C. Ramesh Chilwal alias Mambayya Vs. State of Uttarkhand is another case where the trial was conducted by a Sessions Judge. In further appeal to the Supreme Court, the Apex Court clarified that since the trial Judge had awarded a sentence of imprisonment for life, the consecutive sentence ordered by the courts below cannot be justified and directed the sentences to run concurrently in view of Section 31 Cr.PC. The Supreme Court was obviously having in mind clause (a) of the proviso to Section 31(2) Cr.PC which, for the reasons already stated, was inapplicable to that case. Recently, on 01-07-2014 the Apex Court in Duryodhan Rout v/s State of Orissa has once again fallen into the very same error in applying the proviso to Section 31(2) Cr.PC in relation to a trial conducted by a Sessions Judge. 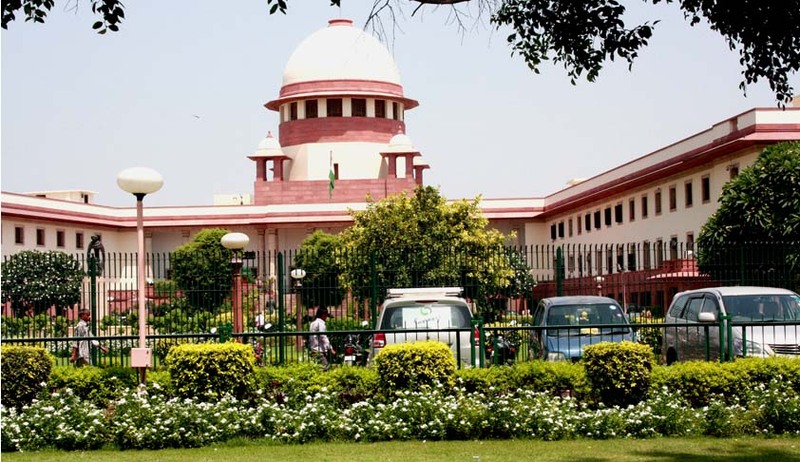 In paragraph 27 of the Judgment the Apex Court has laid down as a proposition of law that in case a person is convicted of several offences and the sentences of imprisonment includes one of imprisonment for life, the proviso to Section 31(2) Cr.PC will come into play and no consecutive sentence can be imposed. The above proposition is in direct conflict with Section 31(1) Cr.PC. Noting that the aggregate of the consecutive sentences imposed by the courts below exceeded 14 years, the Apex Court in that case directed that the sentences imposed should run concurrently and not consecutively. The above views are vindicated by the Constitution Bench of Supreme Court now.